Nokia 9 Phone with OLED Display. Nokia 8 is a marvellous phone we have seen so far by Nokia. Its unique design and features make it appealing to everyone. Recently rumours are that HMD global is going to launch the next flagship phone considerably Nokia 9 at the start of 2018. 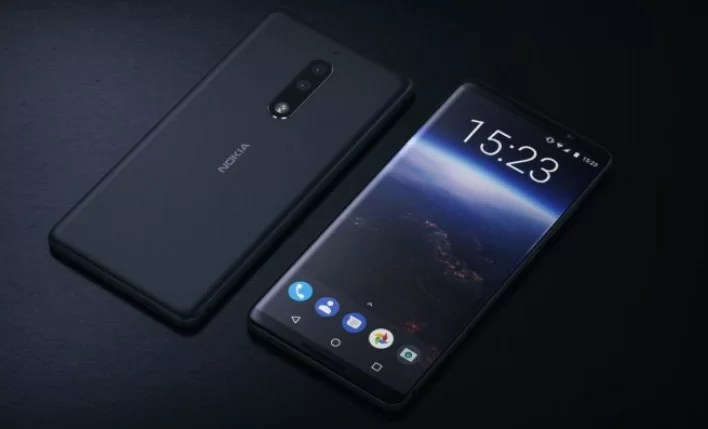 Nokia 9 is the first phone with OLED display of its kind. Yes you heard that right Avatar is the code name for Nokia 9 with model number TA-1005. It will cover 5.5” of OLED display screen with Google’s latest Android Oreo 8.0 software. However it seems that Nokia took assistance a little bit this time from LG in display screen department which is pretty much good. According to a Liliputing website we came to know that Nokia 9 will feature 128GB on board storage. In terms of battery performance 3250mAh battery will power the OLED screen and rest of the components. Well on this point it seems that Nokia should have taken this out to at least 3800mAh keeping in view the latest power hungry applications and stuff. Well Nokia fans will get stunning images from dual camera setup at the back of the phone. It has two cameras 12MP and 13MP. With a 5MP front camera you can get stunning selfies. This is something enough as we are getting 8MP cameras from other manufacturers this time of the year. But the famous Bothie feature from the previous Nokia 8 phone are still available in Nokia 9. Snapdragon 835 chipset will power the Nokia 9 as at the moment Qualcomm 845 chips are not available in the market. Qualcomm latest chip 845 might be running first in the coming Samsung Galaxy S9. Phone is going to be launched in first half of 2018. Perhaps it will have at least 4GB or 6GB of Ram. Therefore it is estimated to be around $635 (64,000 PKR approximately) with 6GB Ram and 128GB on board memory . As a result its sure that Nokia 9 will compete in the market with other high end phones.